Zarges' new Reachmaster mobile scaffold tower is suitable for a range of jobs, from working on low ceilings or decorating internal walls, to maintaining the outside of tall buildings. 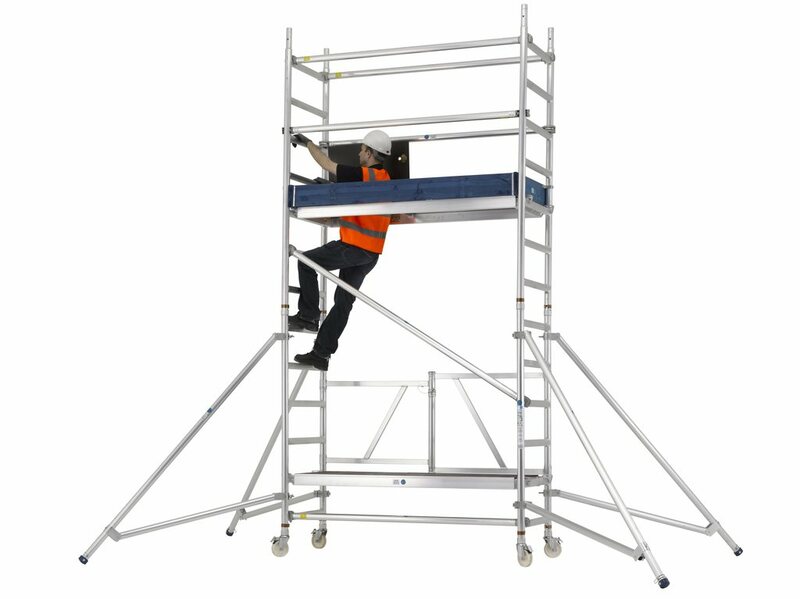 According to Zarges, the Reachmaster offers more working heights than virtually any other aluminium scaffold tower in its class, from 2.5 to 8.5m. Setting up is easy due to its folding base frame, which can be wheeled into position even when it’s closed. Opening out the base frame and locking the folding gate is quick and easy. Braces snap into place and are colour coded for identification. The system includes a folding base frame (measuring 1900 x 960 x 360mm when closed), making it compact enough to store and transport easily. It features 50mm diameter frames and braces, as well as strong aluminium spigots designed to withstand rigorous use.